Does your wireless network leave something to be desired? Unsure how secure your network is? Do you need secure guest access? 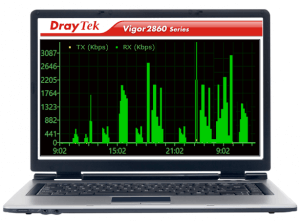 We offer cost effective and reliable Wi-Fi networks utilising Drayteks Wireless Management solution. 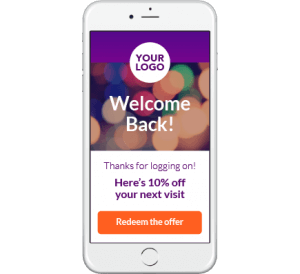 Would you like to collect the data of every customer who walks through your door? Social Wi-Fi is the term given to Wi-Fi hotspots that allow users to log on to the internet using their social media accounts. It’s sometimes also referred to as Facebook Wi-Fi or Facebook Wi-Fi log on, even though other social media sites can be used, such as Twitter or LinkedIn. Social Wi-Fi benefits from a protocol developed by the social media companies to make it as easy as possible to stay connected when using their platforms. As a result, they benefit from increased use of their service, consumers benefit from staying connected and businesses benefit from the consumer data they are able to collect. Simple Wi-Fi access is just the start. By connecting this way, we can offer you a wealth of data, including your customers’ social profile. 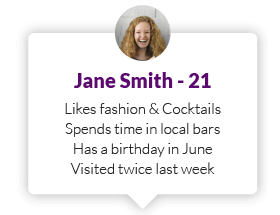 Each ‘like’ helps you build up a better picture of your customers, meaning you can communicate with them much more effectively. Communicate effectively with your customers and send relevent, targeted messages depending on the situation. 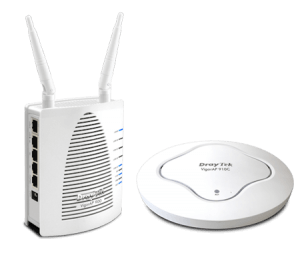 Wireless LAN or “WiFi”, as it’s commonly known, is ubiquitous – it’s used every day for smartphones, laptops, tablets and even home multimedia such as smart TVs, audio systems and games consoles. Wireless LAN provides convenience, flexibility and freedom but with today’s widespread and sheer volume of use, it has become ever more important to control, monitor and maintain their efficiency, performance and security. 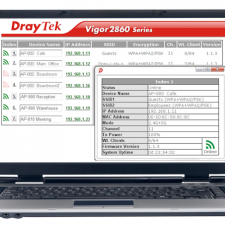 DrayTek’s wireless management solutions allows us to provide reliable and efficient site-wide wireless LAN coverage. Management ensures that you also keep control of your wireless access points and clients (users/devices) to ensure best performance, coverage and security across a home office, building or whole campus. At a glance you can see what’s going on. DrayTek’s solutions are scalable, affordable and intuitive. With that site-wide coverage, your device can switch from one DrayTek access point to another automatically. To ensure the best performance in high traffic areas, load balancing can spread your wireless traffic across multiple access points in the same location. DrayTek’s reporting logs user activity and traffic levels as well as real-time at-a-glance status reports, helping you to identify bottlenecks, high traffic areas or unacceptable traffic levels for specific users. DrayTek’s control and security facility ensure that only users you want to have access can get access, and only to the parts of the network they need to, at the times they need to. 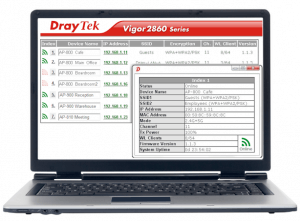 As you’ll learn , DrayTek wireless management doesn’t need any special hardware or dedicated controller so it’s affordable and scalable even for very small or modest requirements as well as larger ones.